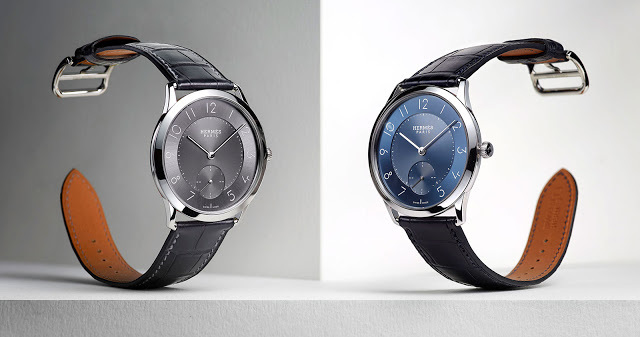 Hermes adds colour to the Slim d'Hermes automatic with new metallic finish dials in slate grey or midnight blue that will be unveiled at Baselworld 2016, along with something for the ladies with a diamond-set version. 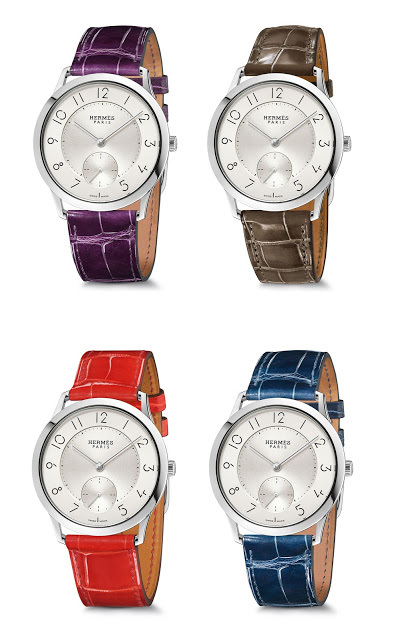 The elegant but quirky Slim d’Hermes was first introduced last year in silver, but the palette will soon widen with additions to the line at Baselworld 2016. Hermes will unveil two new dials colours at Baselworld, slate grey and midnight blue, alongside new strap options as well as a diamond-set bezel. 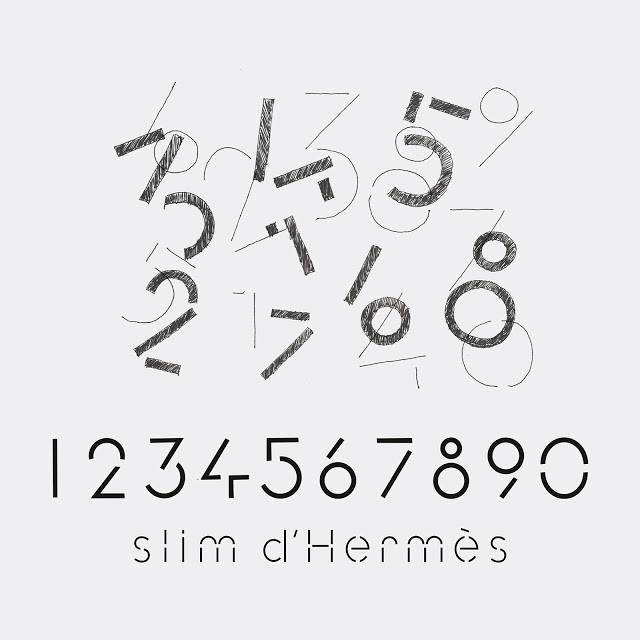 Colours aside the new Slim d’Hermes models are identical to last year’s watch, featuring the same distinctive font for the numerals on the dial. Created by French graphic designer Philippe Apeloig, the font is meant to be light, legible and subtle. New strap options in rich, glossy colours will also be launched at Baselworld, as well as the Slim d’Hermes in steel with a diamond-set bezel. The diamond model is the same as the plain version, except the bezel is set with 66 diamonds totalling 1.16 carats. 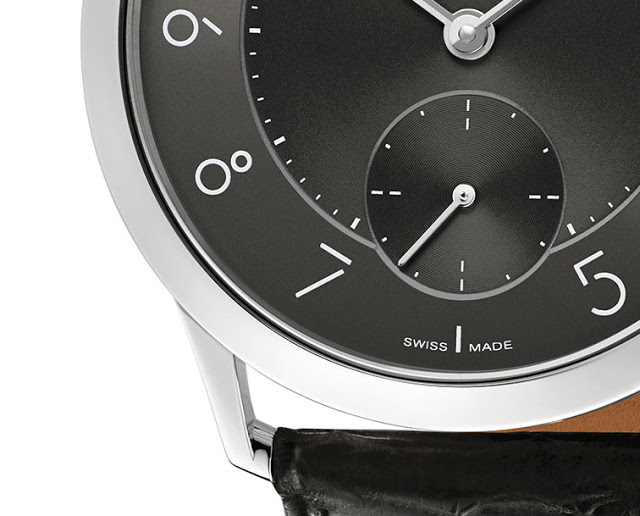 The Slim d’Hermes is equipped with the H1950, a slim automatic movement made by Vaucher, a movement specialist in which Hermes owns a quarter. The slim steel case is a practical 39.5 mm in diameter, with lugs that angle inward, a detail that make the simple form of the case more interesting. 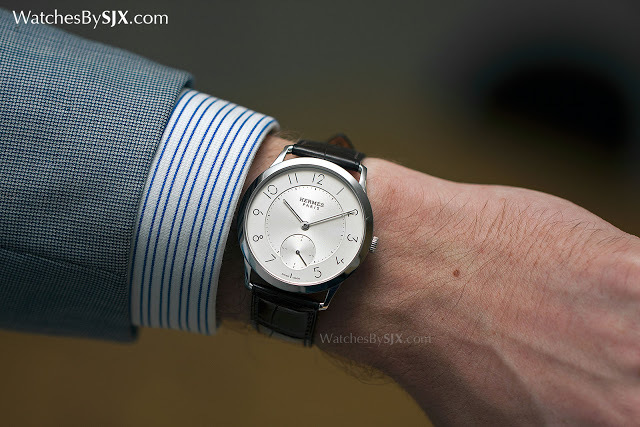 The Slim d’Hermes is SFr6400 in stainless steel, and SFr13,500 with a diamond-set bezel.